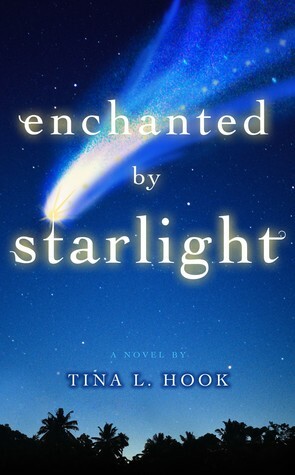 Goodreads: Be careful what you wish for… Grace, Skylar and Alina are connected by destiny when an enchanted comet crosses the night sky. As their most secret ambitions ignite, their ordinary lives take a magical detour down a powerful but dangerous path. Kritters Thoughts: Three friends are interconnected in many ways and weave in and out of each other's lives in this chick lit meets paranormal book. Grace, Skylar and Alina all are impacted by a comet that provide them each with special "powers" that they can use at their whim. The reader is taken through each of their girls histories through each of their own viewpoints - this I loved. I loved being able to hear the story from each of the girls. Not only do you hear each of their stories, but throughout the book, the girls pop into each other's lives. There were quite a few characters, mainly men in the book, so I had to make quite the chart to keep them all straight. A few hopped around a bit, if you know what I am inferring! The interweaving of the girls lives was my favorite part, it was creative and different the ways that you could see them or family members showing up. What I didn't love was the comet energy that popped up randomly in the book. Maybe I should have known ahead of time that this wasn't going to be my favorite read of 2012 because there was just a little too much paranormal too it. I really would have loved the book without it. Sounds like quite the interesting read!